Auto-Star’s comprehensive solutions provide retailers with a scalable business solution from point of sale to back office, from head office to web-based reporting. 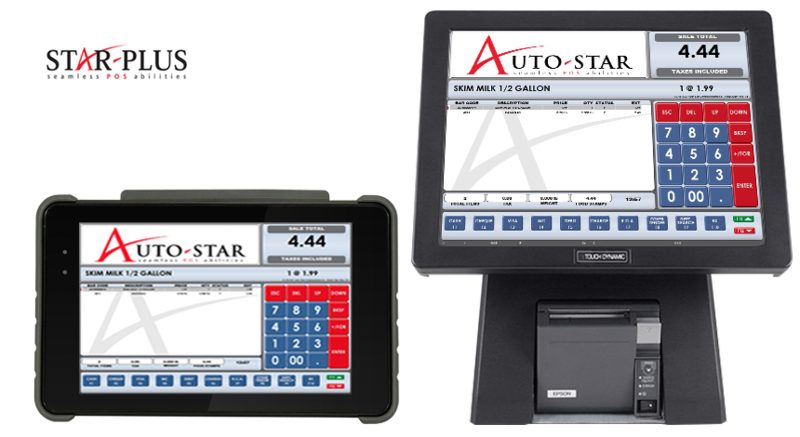 Designed for efficiency and growth, Auto-Star software includes key business tools that assist in strengthening competitive position, increasing customer retention and reducing operating costs. The adaptable software features and modules within Star-Plus and Star-Link can be tailored to individual store needs. The Star-Plus point of sale and retail management solution provides retailers with the tools that they need to help manage and grow their business. We have hundreds of years’ of industry knowledge behind the focused development and refinement of this industry leading software suite. Modular based and flexible, Star-Plus goes beyond standard point of sale applications to become the back bone technology solution for our retailers. Fully integrated retail management suite from point of sale to back office. A comprehensive solution designed for grocery, health and other retail verticals. 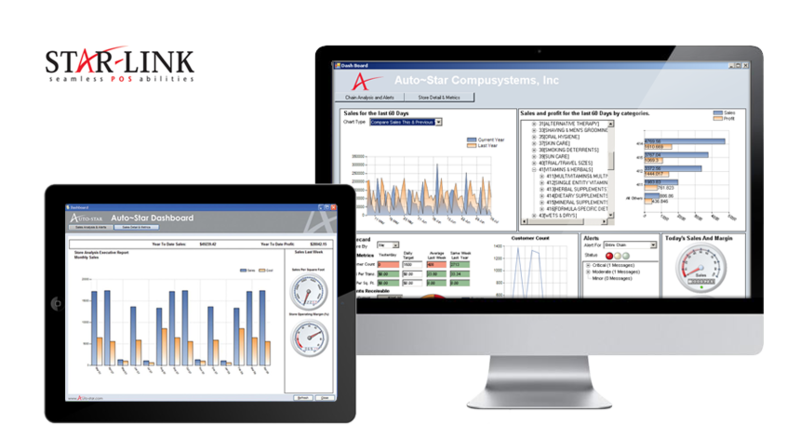 Auto-Star’s Star-Link chain management software helps head offices save time and money by consolidating inventory management. Product, pricing and promotions can be managed for any number of stores while taking advantage of advanced web-based reporting and analytics fed by real-time sales updates for any number of stores. In addition, chain store retailers can promote loyal customers and build their brand by leveraging our centralized loyalty programs. From price updates to purchasing and promotions, Star-Link offers a diverse number of options in managing the chain at every level.